Summer is nearly here, and with it families and couples and digital nomads are planning romps throughout the world. Everyone vacations differently; while some types would find a magical evening at Disney World a complete dream come true, others would want to run away and hide. Some people want to scale mountaintops and others want the bustle of a busy city. So where should you vacation this summer? 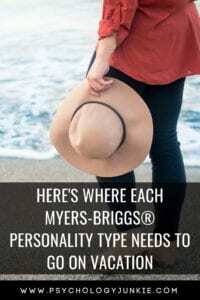 What location is suited for your specific personality type? Let’s take a look! When I spoke with ISTJs about their travel preferences, they expressed a strong desire to travel but a simultaneous desire to save money for more lasting things. They wanted to go places where they could wander and spend time in nature, but also try new foods and sensory enjoyments. Sonoma Valley seemed like the perfect choice! This hidden California gem is known for its vineyards, lush beaches, rolling roads, and quiet, laid-back atmosphere. It’s stately and peaceful, much like the ISTJ. Unlike the often busy, tourist-filled Napa valley, Sonoma offers a quiet respite from crowds. 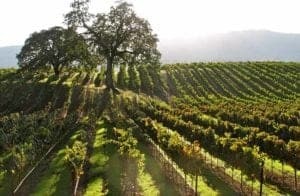 ISTJs will enjoy the more secluded, tranquil atmosphere of Sonoma, along with the variety of low-cost enjoyments; there are complimentary wine tastings, local farms to tour, art galleries to explore, lush gardens to wander, and redwood forests to get lost in. You can have a peaceful, relaxing low-budget vacation or you can opt for more luxury – the choice is yours. When speaking to ISFJs about travel, many expressed a desire to experience a new culture. They also had some concerns about getting lost or having to deal with people who didn’t like tourists or weren’t friendly. 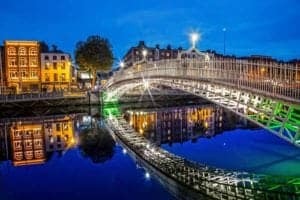 Dublin, Ireland, is a perfect choice for the ISFJ. It is known for being a polite, friendly location that is compact and easy to get around in. Its low crime rate and widespread feeling of security will have ISFJs feeling at home. Dublin is filled with history – there are a plethora of museums and old-world libraries filled to the brim with classic books. If you’re more of the recreational sort, you can enjoy swimming along the coast, exploring the seaside cliffs, or wandering the botanical gardens. If you’re feeling social (or hungry! ), there are charming pubs to try out filled with decadent flavors and famous ales. Dublin has an old-world charm and friendly nature that will attract the conscientious yet adventurous ISFJ. When speaking to ESTJs about travel, there was quite an eclectic mixture of tastes and preferences. The most important factors seemed to be a strong cultural history, a variety of recreational activities, good food, and breathtaking scenery. ESTJs like classics and tried-and-true destination vacations. They also enjoy having the option to choose between the hustle and bustle of the city or tranquil natural regions. Tuscany, Italy is an ideal choice for them. This stunning land boasts long, sandy beaches, rocky cliffs, crystal-clear seas, and Medieval villages. There are castles, vineyards, spas, hot springs, and some of the world’s best Italian restaurants. 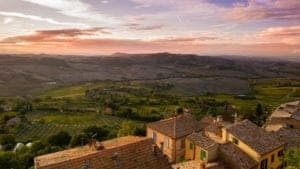 Here there will be no shortage of things for the variety-seeking ESTJ to enjoy, and whether they want to get lost in the bustling city of Florence or sunbathe on the peaceful Gulf of Baratti, there will be options for whatever mood they’re in. ESFJs are known for their friendliness and practical, no-nonsense nature. Charleston, South Carolina is the perfect city for these good-natured souls. Voted “The Best Mannered City in America” for eleven years running, this city is abounding in Southern hospitality. For ESFJs, who are known for their polite and welcoming personalities, this city will feel like home. The ESFJ can fulfill their love of beautiful details as they meander the cobblestone streets while taking in the historic antebellum homes. They can set sail on an 18th century schooner, or visit the famed 400-500 year-old angel oak tree with its sprawling, unforgettable branches. 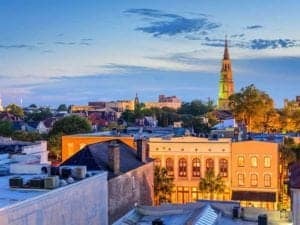 There are gorgeous details in abundance in Charleston, and there’s a friendly, good-natured atmosphere that’s welcoming to any ESFJ who arrives. ISTPs are known for their toughness, independence, and swift ability to problem solve. When it comes to traveling, while no two ISTPs are alike, many preferred quiet, out-of-the-way locations where they could challenge themselves recreationally. 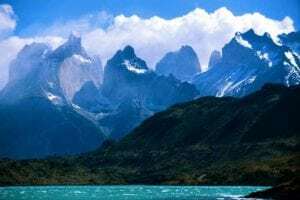 Torres del Paine National Park in Chile seems like the perfect choice for these lone wolf personalities. This park is famed for its high winds, rough terrain, and massive stone vistas that rise above misty green lakes. It’s a surreal location that isn’t for the faint of heart! The location is so remote and wild that many other types would feel disconcerted, but the ISTP will feel right at home. Whether they’re interested in mountaineering, skiing, hiking, or kayaking, there’s a recreational adventure just waiting to be had here. And if they’re in the mood for city life, they can visit the nearby bohemian city of Valparaiso, known for its fantastically steep winding streets, seafood restaurants, and stunning seaside vistas. ISFPs are known for their creativity, empathy, and love of natural beauty. They are true wanderers at heart and love to explore new locations, especially ones that are more “off-the-beaten-path”. Palawan, Philippines seems like the perfect choice for these lovers of adventure and beauty. It’s breathtaking, unspoiled beaches are surrounded by crystal-clear waters. There’s also a navigable underground river, and deep sea excursions that put you in touch with the lush and lively Tubbataha reef. 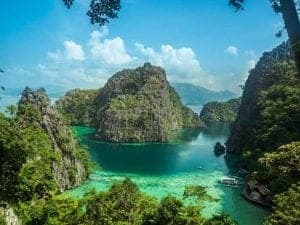 The people of Palawan are known for their exceptional friendliness, so the harmony-loving ISFP will feel right at home. 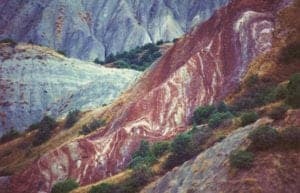 This destination is also considered a “hidden gem” by travel experts, as it hasn’t been discovered by many tourists yet. You can enjoy the numerous adventures and scenic delights without having to worry about enormous crowds. It’s the perfect combination for any introvert who has a taste for adventure and a love for all things lush, luxurious, and tropical. ESTPs are known for being adventurous, quick on their feet, impulsive, and fiercely independent. I wanted to find a destination that would truly test their thrill-seeking nature. Livingstone, Zambia was the best fit I could find for the ESTP personality. This stunning location is filled with wild and challenging adventures. 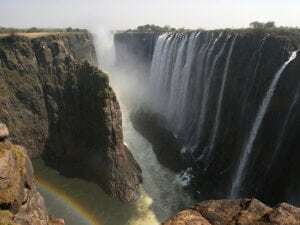 You can throw yourself into the air and freefall 110 meters from the top of Victoria falls, the largest waterfall in the world. You can edge your way down a sheer rock face overlooking the bakota gorge. You can go white water rafting or kayaking down the mighty Zambezi river. There are endless ways to get your heart racing and experience the astounding beauty of Africa. I couldn’t find a better ESTP vacation than this one! The adventurous, friendly ESFP will have no shortage of thrills in Bogota, Colombia. Known for its friendly locals, bright, energetic night life, and mouth-watering cuisine, Bogota seems tailor-made for the ESFP. 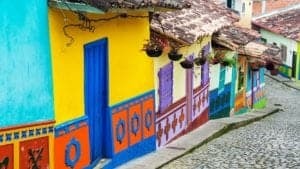 This city is bursting with art, fashion, culture, adventure, opportunities, and yes…delicious Colombian coffee. There are vibrant art exhibits, cafes and clubs resounding with Latin music, and more recreational thrills than I could possibly name. It’s an extraverted sensors paradise! Plus the people of Bogota are known for their friendliness and enthusiasm, which will make the charismatic ESFP feel right at home. No, Azerbaijan isn’t a prison for witches and wizards. This stunning, mysterious “Land of Fire” is one of those little-known destinations that is full of staggering beauty and recreational challenges – all in a landscape that is free from the onslaught of tourists (yet). INTJs are extremely independent introverts, and prefer places that are reclusive yet scenic. They enjoy things that are mysterious, symbolic, and out-of-the-ordinary. I wanted to find a location that had plenty of mystery and curious paradoxes to keep them mentally entertained. In Azerbaijan you can see a spring that emits water and fire, you can view a volcano that emits freezing mud rather than scorching lava, you can visit the mysterious Maiden Tower that is more than 1,000 years old and has no known purpose. There are the towering Caucasus mountain ranges to explore, remote, ancient villages to discover, kebabs to taste, and decadent teas to sample. This “non-touristy” destination will definitely entertain your curiosity and give you plenty to think about, consider, and enjoy. When INFJs travel, they often look for places surrounded in tranquil beauty, places that feel remote, that invite meditation and quiet reflection. They also enjoy having the option to interact with friendly locals if the mood strikes. The Scottish highlands offer a welcoming respite from crowds, and a near-magical encounter with nature and wildlife. Whether you want to wander the mountains and forests or gaze across the hidden beaches and glistening seas, there’s no shortage of quiet nooks to stop and think and reflect. 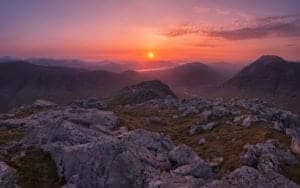 The highlands have a mystical, breathtaking quality that is almost surreal in its scope. The skies feel huge, and the world slips away into mountains, trees, rolling green hills, and vast, shimmering waters. If you want the company of others, then the people of Scotland are known for their welcoming, friendly nature. ENTJs like to travel with a purpose or challenge in mind. When they get wanderlust, it’s usually because they’re looking for some new inspiration, a new project, or a new goal to complete. They don’t tend to travel just for leisure’s sake, in fact, according to the MBTI® Manual, the only leisure activity that ENTJs were overrepresented in was “exercise”. Boulder, Colorado seems like the perfect choice for these innovative, big-picture types. This location is home to the TechStars business incubator, and is a town that draws in a multitude of high-tech startups and innovators. This location draws in outdoorsy, recreational types and ambitious venture capitalists alike. 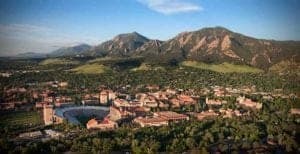 If you’re looking for business inspiration or a way to challenge yourself physically, Boulder is a great place to start. There are more than 45,000 acres of wilderness to hike, there are mountains to climb, and there are famous breweries and craft beers to sample. This is a place for people with big ideas, adventurous dreams, and a desire to interact with ambitious, innovative locals. ENFJs travel with a desire to find inspiration, ideas, and meet new and interesting people. Bhutan is a location that offers many of these possibilities. With its peaceful monasteries, stunning Himalayan mountains, and colorful festivals, there is no shortage of cultural experiences and spiritual inspiration. ENFJs will appreciate the focus of happiness on the culture of Bhutan. In fact, Bhutan is the only country to measure GNH or Gross National Happiness as an indicator of its prosperity. The people of Bhutan live by their values and have a strong focus on the environment and the future, something that the value-focused ENFJ will appreciate. 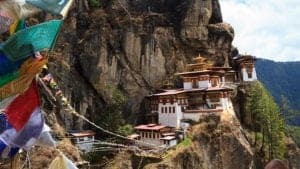 Bhutan is one of the world’s most generous and hospitable countries, and ENFJs will feel welcome to talk to the locals and get to know their way of life. If they’re feeling especially recreational, they can enjoy a trek to Zuri Dzong or the mountainous Gangtey valley. INTPs are usually very drawn to traveling. Exploring new cultures, new ideas, and new possibilities stimulates their intuition. In fact, many INTPs I spoke with were digital nomads or pursued long-term jet-setting lifestyles. 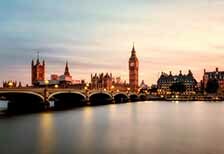 London, England offers many stimulating experiences and ideas for INTPs to explore. As I spoke with INTPs, this city came up again and again as a favorite. It is constantly changing; new attractions, museum exhibitions, and events are cropping up year round. There are quiet, tranquil gardens to meander through if you need to recharge your introvert batteries, or you could kayak down the Thames while taking in the sights. There are curiosity shops, afternoon teas, and pubs where you can meet new and interesting people if you’re feeling adventurous. The forward-thinking INTP will never be bored in a town like this. Cappadocia is one of those idyllic cities that feels like it could only exist in a fairy tale. It has a surreal landscape dotted with naturally formed, rounded and jagged rock hills and stunning clay “fairy chimneys”. There are underground cities, hot air balloon rides at dawn, and cave hotels that make you feel like you’ve entered another world. This is a place for imaginative people, a place for those who want to really feel like they’ve left everyday life behind. Travel magazines again and again refer to Cappadocia as feeling “otherworldly” or “surreal”. The imaginative INFP will likely be drawn to this stunning city as it inspires so many wonderful ideas and evokes the imagination in such a powerful way. It’s also a place famed for its friendliness and welcoming locals, so the harmony-seeking INFP will feel right at home. ENTPs travel looking for inspiration, new ideas, new cultures, and new possibilities. They are dynamic, innovative, and curious individuals and the city of Dubai embodies their forward-thinking vision. Dubai is a modern, cultural melting-pot of a city that is filled with new technology, architecture, and a vast array of cultural experiences. Diversity is everywhere, with almost 200 different nationalities calling it home. ENTPs will love visiting the Burj Khalifa, the world’s tallest building. There’s an underwater zoo, indoor skiing, and hot air ballooning over the spectacular Dubai desert. There are so many things to do here that you could barely do them all in one lifetime. ENTPs will leave feeling inspired, invigorated, and alive. ENFPs look for meaning, excitement, and inspiration in their travel. They want to get a bird’s-eye-view of what their life means in the grand scheme of things and experience new cultures and possibilities. The mysterious country of Jordan has much to offer in terms of spiritual discovery, ancient history, and adventure. You can walk in the footsteps of ancient civilizations by visiting the 6500-year-old Greco Roman ruins of Jerash or the stone city of Petra. You can soak in the ancient Dead sea waters or go canyoning in the warm waters of Wadi Mujib. 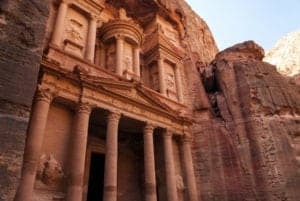 The people of Jordan are also known for their hospitality and kindness, so the friendly ENFP will have an easy time making some new friends and learning about the Jordanian culture and lifestyle. I think your pick for the INFJ’s location is perfect. Boulder seems amazing for life. Great read. I think the recommendation for INFJ is right on. Please be sure to correct the spelling for Colombia (‘o’ instead of ‘u’). I thought this was rather inane. You guys usually do better.